A residual occurs when you do the work once and you get paid over and over again for that work done. After the record is cut in the studio, the songwriter receives a financial payment every time the music is played by a radio station. Sam Walton built Wal-Mart into the largest retailer in the world by allocating his share structure of that company to his employees so that they would receive a "Piece of the Action". 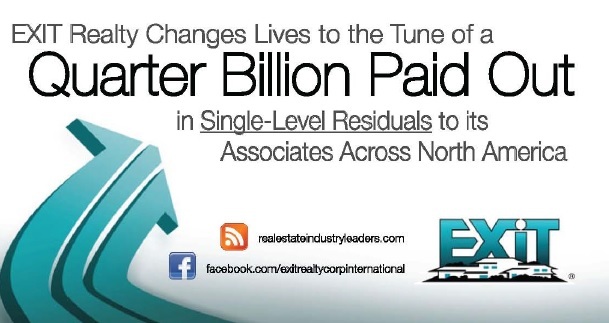 With Residuals, EXIT now provides this same opportunity. Everyone in the Corporation can receive a "Piece of the Action" for helping to build EXIT through Sponsoring.